Moti Ramgopal | MD, FACP, FIDSA is a Consultant Physician and Director of Associates in Infectious Diseases; Founder Midway Immunology and Research Center and the not-for-profit Midway Specialty Care Center, Founder of Midway Primary Care, a not-for-profit primary care practice; Assistant Professor of Medicine at Florida State University Medical School; and founder of Asvins.org. Dr. Moti Ramgopal is affiliated with several hospitals in the area, including Lawnwood Regional Medical Center and Heart Institute, Saint Lucie Medical Center and Martin Health Systems. Dr. Ramgopal received his medical degree from University of the West Indies Faculty of Medical Sciences and completed a Residency in Internal Medicine at Bon Secours Hospital in Michigan. He then completed a Fellowship in Infectious Diseases at Jackson Memorial and the University of Miami School of Medicine. He has been in practice for more than 20 years. Dr. Ramgopal is certified by the American Board of Internal Medicine and Board Certified in Infectious Disease. Dr. Ramgopal serves as a Certified Principal Investigator for clinical research. His studies have been published in peer-reviewed journals such as The New England Journal of Medicine, The Lancet, The Journal of AIDS and IDSA’s The Journal of Infectious Diseases. His Midway Immunology and Research Center clinical team treated 300+ HIV and Hepatitis C patients for free at a savings to the community of more than $5,000,000 to date, giving patients access to cutting-edge treatments not available to the general public. 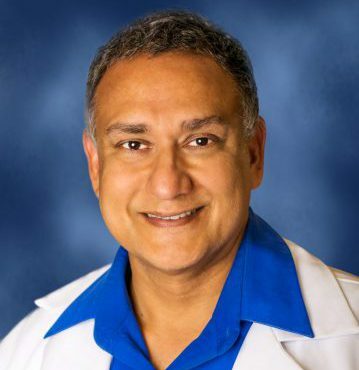 Dr. Ramgopal was awarded the Top Physician honor by Treasure Coast Newspapers in 2014, received the Frist Humanitarian Award from HCA, and is a winner of FSU Guardian of the Mission Award. He founded the 501 c-3 Midway Specialty Care Center the same year to enhance access to treatment for all patients living with chronic diseases and Hepatitis and HIV. Publications & Presentations: Peptostreptococcus Endocarditis Presenting as Lumbar Discitis in an Immunocompromised Patient. Dahya, V.,Chalasani, P.,Ramgopal, M.; Am. J. Med. Sci.. 2014 Dec 02. Cross-Clade Ultrasensitive PCR-Based Assays To Measure HIV Persistence in Large-Cohort Studies. Vandergeeten, C.,Fromentin, R.,Merlini, E.,Lawani, M. B.,DaFonseca, S.,Bakeman, W.,McNulty, A.,Ramgopal, M.,Michael, N.,Kim, J. H.,Ananworanich, J.,Chomont, N.; J. Virol.. 2014 Aug 15. Paradoxical immune reconstitution inflammatory syndrome presenting as acute respiratory distress syndrome in a non-HIV immunosuppressed sarcoidosis patient. Dahya, V.,Ramgopal, M.,Glickman, J.; Int J Rheum Dis. 2014 Apr 08. Interleukin-7 promotes HIV persistence during antiretroviral therapy. Vandergeeten, C.,Fromentin, R.,Dafonseca, S.,Lawani, M. B.,Sereti, I.,Lederman, M. M.,Ramgopal, M.,Routy, J. P.,Sékaly, R. P.,Chomont, N.; Blood. 2013 May 23. Origin of the dengue virus outbreak in Martin County, Florida, USA 2013. Teets, F. D.,Ramgopal, M. N.,Sweeney, K. D.,Graham, A. S.,Michael, S. F.,Isern, S.; Virol Rep. 2015 Feb 11. Catastrophic antiphospholipid syndrome (CAPS) induced by influenza A virus subtype H1N1. Durkin, M. L.,Marchese, D.,Robinson, M. D.,Ramgopal, M.; BMJ Case Rep. 2013. Spinal osteomyelitis due to Mycobacterium fortuitum in a former intravenous drug user. Longardner, K.,Allen, A.,Ramgopal, M.; BMJ Case Rep. 2013. The major genetic determinants of HIV-1 control affect HLA class I peptide presentation. Pereyra, F., Jia, X., McLaren, P. J., Telenti, A., de Bakker, P. I., Walker, B. D., Ripke, S., Brumme, C. J., Pulit, S. L., Carrington, M., Kadie, C. M., Carlson, J. M…; Science. 2010 Dec 10. Genitourinary tuberculosis after renal transplantation: report of 3 cases and review. Dowdy, L., Ramgopal, M., Hoffman, T., Ciancio, G., Burke, G., Roth, D., Mies, C., Jones, B., Miller, J.; Clin Infect Dis. 2001 Feb 15. Diffuse thrombosis complicating therapeutic plasma exchange. Ramgopal, M., Cushing, R.; Am J Hematol. 1995 May. Sterol control of the phosphatidylethanolamine-phosphatidylcholine conversion in the yeast mutant GL7. Kawasaki, S., Ramgopal, M., Chin, J., Bloch, K.; Proc Natl Acad Sci U S A. 1985 Sep 01. Sterol effects on phospholipid biosynthesis in the yeast strain GL7. Ramgopal, M., Zundel, M., Bloch, K.; J Lipid Res. 1990 Apr.